She’s a magnificent human with a richly intricate story – many parts are dark, but most radiate color. JILLIAN LAUREN’s past is dazzling and daunting, opulent and sparse — and to show you want I mean, here is what her history looks like on paper: adopted by a suburban Jewish Stockbroker and housewife, admitted to NYU at the age of 16, dropped out, succumbed to the life of a stripper, high class call girl and heroine addict, and lived glamorously (or not so glamorously) as the harem to the Prince of Brunai at the age of 18 (as she chronicles in her NYT bestseller, “Some Girls”). 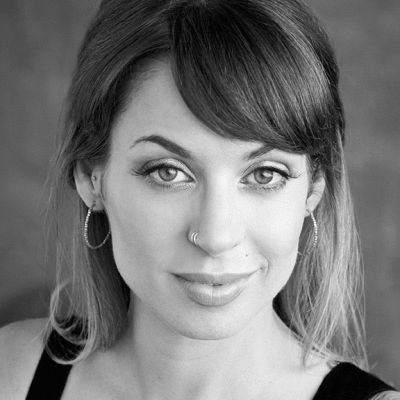 JILLIAN then moved back to the States – kicked her drug addiction (and never looked back), became a rock star wife (to triple platinum group Weezer’s Scott Shriner), obsessed tirelessly over trying to have a child, encountered heartbreaking confrontations with infertility, earned her MFA in creative writing, flourished as a blogger, became a New York Times bestselling author – and ultimately and finally became the enriched and blessed mother of Tariku, a gorgeous boy adopted from Ethiopia. 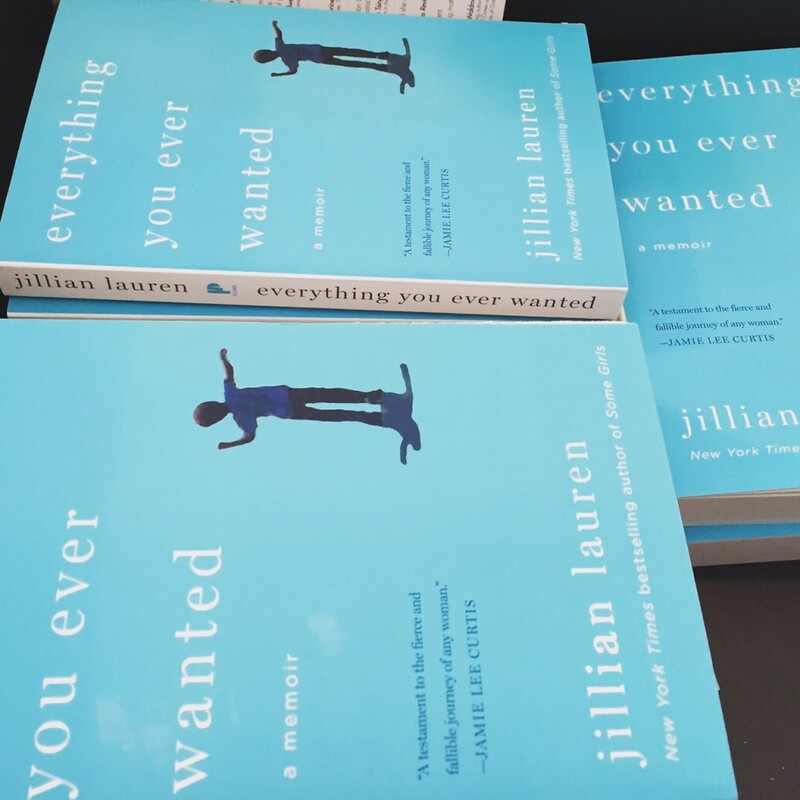 “Everything You Ever Wanted” is JILLIAN’S revealing and vulnerable tale about love and being human. It’s a story of a woman unable to conceive — “liv[ing] with the flutter of failure trapped like a bird under [her] rib cage all the time.” It’s the story of a couple in love deciding to take on the route of international adoption — and the emotions of euphoria and fear that overwhelm them as they become first time parents. It’s the story of a couple learning and dealing and falling into a dark period as they’re confronted with realities that their baby boy is special needs and is suffering social, behavioral and physical issues stemming from childhood trauma. It, too, is a story of death, regret and sorrow. “Everything You Ever Wanted” is an incredible read that triggers all human emotions: empathy, sympathy, fear, doubt, shame, envy, happiness, sadness and gratitude. Her story and her voice are remarkable — and this is a memoir I urge you to read. It’s entertaining with the most shocking and inspiring of anecdotes — and it examples colorfully how maternal and paternal instincts, perseverance — and simply love — are how light can be found at the end of the seemingly never-ending tunnel. Life is always beset with difficulties, we all know — but JILLIAN shows how nothing is insurmountable. Vicissitudinal, nontraditional paths have become JILLIAN’S journey – but no doubt have become the fodder that fuels her storytelling and her ability to inspire us all. They are the veins that led JILLIAN to become the blessed matriarch of a perfectly imperfect stunning nuclear family today. I was gifted the pleasure of meeting JILLIAN (and consequently all of her priceless written works) through my friend Christina Simon (the brain behind the website and book Beyond The Brochure) who hosted a gorgeous book event for the author. 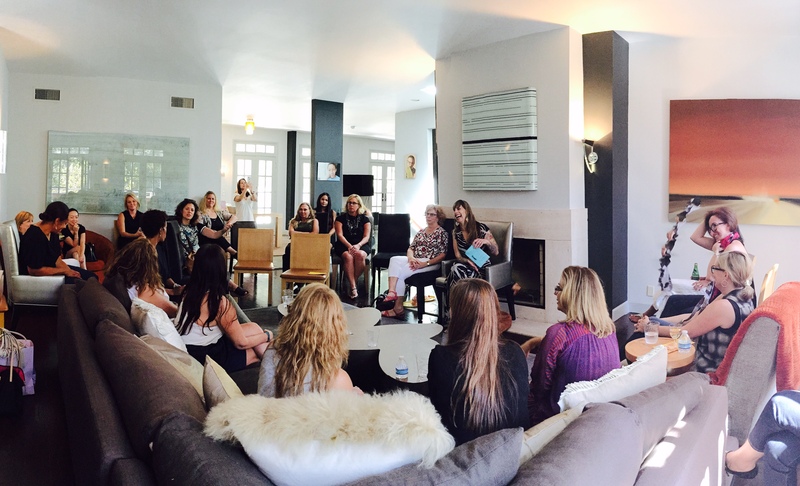 JILLIAN read from “Everything You Ever Wanted” –– and she blew us all away. I am so grateful for being granted the opportunity to interview her. 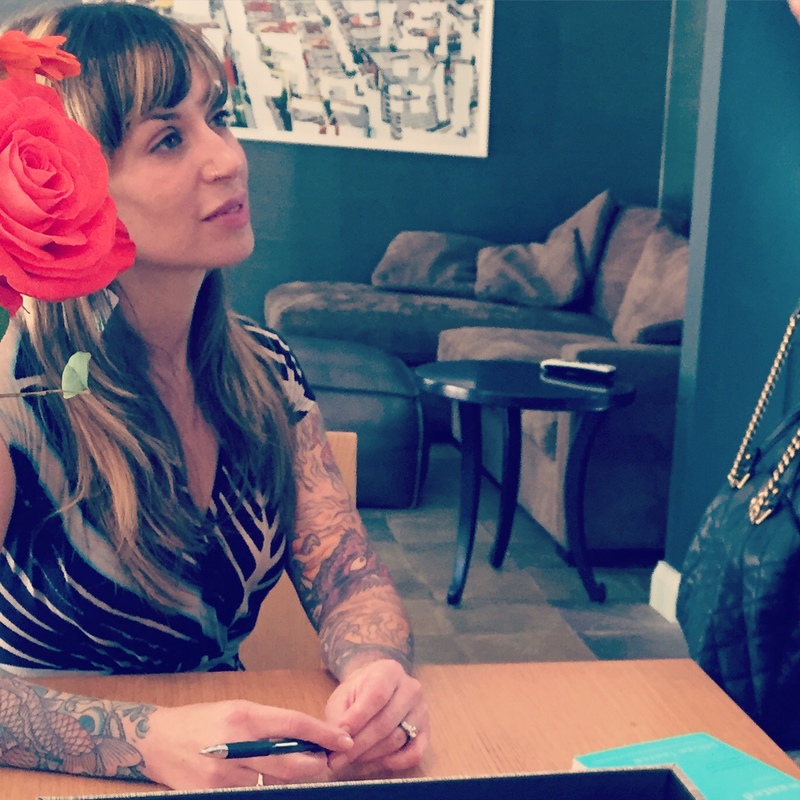 We discussed parenting, adoption, being human — and her tips and tricks on writing. Again – thank you, Jillian, for the opportunity. I define success as a parent as the sometimes painful process of letting go of the expectation that there’s some qualitative way to define success. In spite of my rebellious, bohemian exterior- with tattoos from my toenails to my eyeballs- I have always been a closet type-A personality, with very clear and satisfying markers of achievement. I like to get an A! Then I adopted an amazing, hilarious, brilliant kid with special needs, and the entire playing field was transformed for me. My view of life and success became so much more nuanced. I went from thinking it was important that my kid learn to speak Mandarin (seriously- I had flashcards before we even got him) to learning that the really important things in life are not these easily identifiable markers of “success,” but rather the ability to have meaningful emotional connections with other humans. Honestly, I know a lot of people who went to Harvard and have the perfect resume and are emotionally totally clueless and miserable. Having a kid with special needs causes you to re-evaluate as a parent and a person. It’s been the best thing that has ever happened to me, hands down. What is your blueprint on raising Tariku to become a successful adult — and how will you know when you have succeeded as a parent? I succeed every day I live in a wholehearted way, admit my mistakes, and am vulnerable. I truly hope that I can teach my son compassion and tenacity. I don’t have some pre-determined benchmark for him that will gauge whether or not I’m successful. I hope he’s kind. I hope he finds a passion and a drive. I hope he falls in love and it blows his mind. I hope he goes and sees Paris, or Rome, or India, or Katmandu. But those are my kind of values… If he’s as rebellious and eager to annoy his parents as I was, he’ll be a banker and a young Republican! Whatever. We’ll argue and holler and hopefully he’ll still come home for Thanksgiving! 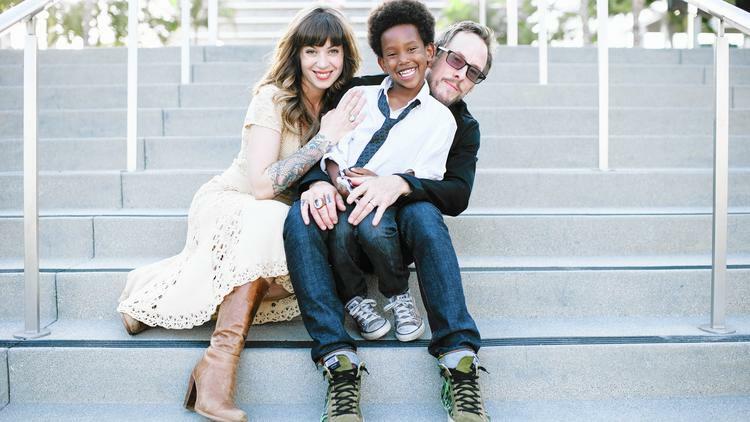 Raising an ethnic or multi-ethnic child is always a careful balance. Carry your pride but assimilate too. How do you intend to teach Tariku to be proud of his heritage and culture while fitting in in America (and in Los Angeles of all places!)? I put a lot of joyful effort into imparting Tariku’s Ethiopian culture to him. It’s not a hard thing. It’s given so much to our lives. When we went to Ethiopia, we had no idea how completely we’d fall in love with the culture and the people. Honestly, we just wanted a kid. We wanted to grow our family. We had no idea that our lives and hearts would be blown open by this amazing country. I work with a number of non-profits in Ethiopia now, including the amazing Help One Now and Roots Ethiopia. I went back there a year ago and plan to return in the spring. It’s going to be up to Tariku how he chooses to integrate the different aspects of his rich cultural quilt into his identity. He’s Ethiopian; he’s Jewish; he’s Irish; he’s Polish… I try to impart all of it to him in an expansive and fluid way. Matzoh balls and doro wat! Ultimately, it’s going to be his choice to decide what resonates and is important to him. How do you and your husband balance hands on parenting with commitment to your 2 separate careers — both of which require grueling time commitments and deadlines? I’ve given up the idea of work/life balance. Everyone talks about this elusive balance thing, but I’ve yet to meet one person who claims to have achieved it. Something always suffers on any given day. I always wish I had more time with my family and I always wish I had more time with my work. I’ve learned to let go of perfectionism and to embrace the “good enough” ethos. I’ve learned to delegate things, and to learn what’s important to me. Housework: delegate! Cooking dinner: I love it and do it as often as possible! Deadlines: sometimes you have to call in the troops and trust that your best friend is sometimes (um, always) even more fun than you are for your kid and it’s fine if you don’t pick him up from school one day. You are adopted yourself. Does this affect in any way your decision on how you will raise Tariku? Yes, of course. All that I am has determined how I parent, and that absolutely includes being an adoptee. In our house it’s kind of a running joke that we feel bad for my husband Scott, because he’s left out about the adoption thing. We’re adopting again right now. I’m adopted. Tariku is adopted. The new baby is gonna be adopted. The dogs are even adopted! It’s a very positive dialogue, and allows for a lot of complexity. I hope that my being adopted will make our son feel like I’m a safe place to bring all his thoughts and feelings. Although, eventually, EW gross, who wants to bring your feeling to your mom. Hopefully by then we’ll have established a strong foundation, and a community of friends to whom he feels comfortable talking. Are you living your dream?…….If something is missing, what is it? I am! I am living my dream! And there is still ALWAYS something missing. That’s what keeps us striving, keeps us creating. I don’t expect to ever feel completely fulfilled. On my deathbed, I hope to have one more thing I meant to write, or to paint. One more mountain to climb. I always want to keep dreaming. I love that there is no facade in “Everything You Ever Wanted.” You reveal vulnerabilities and you serve as a beautiful example of how there is is no shame in admitting your struggles and exhaustion. You come out a hero and inspiration (intentional or not) to all of us (!) – by virtue of revealing your self doubts and mistakes and emotional holes. This is writing as a refined art at its finest! What are you top 3 tips on writing for all writers and bloggers? Write and read voraciously. Read Anne Lamott. Read Natalie Goldberg. Trust the gurus and greats who came before you. Not every word you write is a pearl. Stop being so precious about it. Just put pen to paper and keep going! Write garbage Write gold. Write anything. And be willing to throw it all out. Don’t wait for the right moment. Don’t wait to be inspired. Don’t wait until everything else is done and squared away. There is always a deeper place you can access, any minute of any day, where the writing really lives. As parents, there are so few perfect moments. We have to write in the borrowed, haphazard, imperfect moments (like right now- hello TV time!). If you do it often enough, it will become habit and the imperfection of it will take on a beauty of its own. Take notes. Always carry a notebook. Become conscious. Learn to see and hear and taste and smell and feel and then write it all down! How did you land your first book deal? How did signing on the dotted line come about? I want to stress that the first book I wrote never saw the light of day. It lives in a drawer to this day. I wrote a book and then I wrote another book and then I wrote ANOTHER proposal and finally I sold two of the suckers. I had a lot of friends who were writers, and I tried to take advantage of their connections- I had interest but ultimately but I got no bites! I got my first book deal on a cold submission to an agent, with whom I had no connection at all. The submission was one of about 100 I sent out. But I wrote a great query letter and I had good material and I found the right person, who was able to see it and appreciate it. She’s still my agent and a great friend, through thick and thin. Although this is a memoir, for purposes of creativity and entertaining your readers, are any aspects fictionalized or amplified? No, I don’t fictionalize or “amplify.” I do sometimes compress timelines or create composite characters. And I write. I am a writer. Do I absolutely remember every moment of dialogue? No, I don’t. But I always have touchstones that I work from. And I am rigorous about my intentions and my efforts to portray a radical emotional truth. What is your writing process? Music in the background? Careful outline or messy stream of consciousness written purge? I always write 5 days a week, with a disciplined schedule. 4 hours a day on my primary project, at least. Although I believe you can do it in less. I tell people if you can sit down and write for 1.5 hours a day 5 days a week, you can write a book. I have different processes for different stages of my writing. My first draft is always a very messy, stream-of-consciousness, “splatter” draft. After that, I’m craft and structure-oriented. And again, Jillian – MUCH GRATITUDE. You’re the light for many of us. 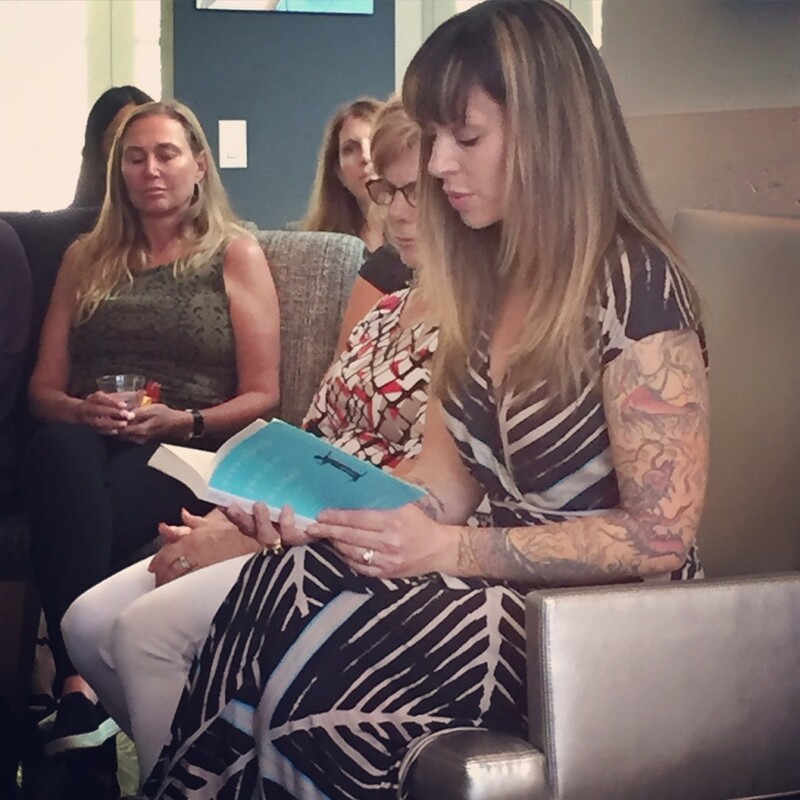 Jillian Lauren reading at a book event hosted by Christina Simon. Elaine, I’m so glad you came to the event and found Jillian as inspiring as I do. Her book is incredible. I can’t even remember why we’re all laughing in that photo…laughter and tears in the same afternoon. That’s good. so inspiring. thank you, again. …laughter and tears…winning combination.